"Jump starters come in two types, the old workhorse Lead Acid variety, or the new kid on the block, Lithium Ion. 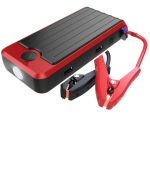 Select which is best for you thanks to our guides, and which jump starter is perfect for your requirements thanks to our unique and detailed reviews!" USB Gadget charger, unique digital readout, sturdy and compact carry case, this tiny lithium jump starter has it all! The PowerGo has some nice features, it comes with some serious concerns however…. 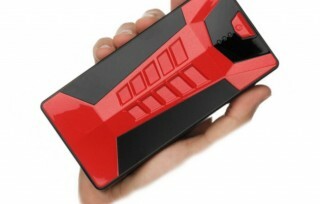 A tiny Lithium Jump starter that packs a big big punch with enough power to jump start several times between re-charges. PowerAll Jumpstarter is the award winning, #1 bestselling Lithium Jump Starter that comes with many features in a pleasing eye catching design. Jump starters mean you can get your dead car battery running again without having to hook up to another car. There are two types, lead acid and lithium ion. Lead acid are bigger but can come with extra features such as air compressors for flat tyres, but lithium ion jump starters are far more convenient as they are very small by comparison, but will still jump start cars no problem at all! 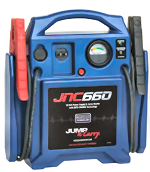 Jump starters are rated in amps for Peak Power and Cranking Power. 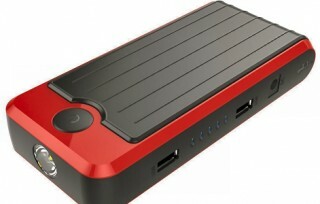 Peak Power can range from just under 1000 Amps to over 2000 Amps. Jump starters with more peak power will be able to jump start larger engines. 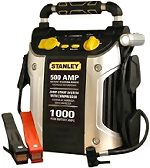 Cranking Amps is the amount of power the jump starter can put into the starting process and can range from around 300 amps up to 500 amps. Generally speaking the larger these numbers, the more powerful the jump starter will be. When deciding which type of jump starter to go for, think about its intended use. 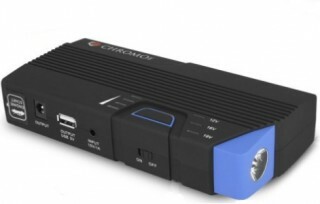 For an emergency jump starter to rescue you or a family member a lithium ion is probably the best as they are small enough to easily store away, even in a glove box. 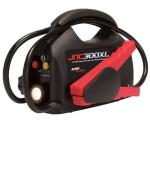 If you need more power and features then consider a lead acid jump starter as having an air compressor to pump up flat tyres can be a useful feature! 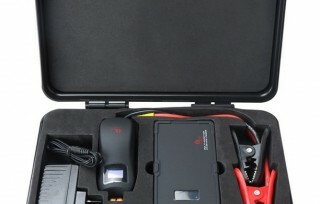 Finally, check our detailed jump starter reviews for our unique customer satisfaction charts which reveal which jump starters are the drivers favourites! Use our Top Lead Acid Jump Starters and Top Lithium Ion Jump Starters charts below for more details on specific jump starters. These are probably the jump starters most people will recognise; large and heavy these are not exactly what you could call portable, but they certainly perform as expected. Some modern lead acid jump starters have a built in air compressor, useful for pumping up flat tyres long enough to get home or to a tyre fitter. 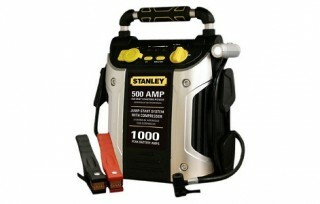 See our full Lead Acid Jump Starter Comparison Table to compare features. It's entirely understandable if you are looking with disbelief at the chart below and are thinking that these tiny devices cannot possibly be jump starters - but they are! These are modern lithium ion jump starters that are so small they will fit in a car glove box or door pocket, and yet they can jump start multiple vehicles multiple times between charges.